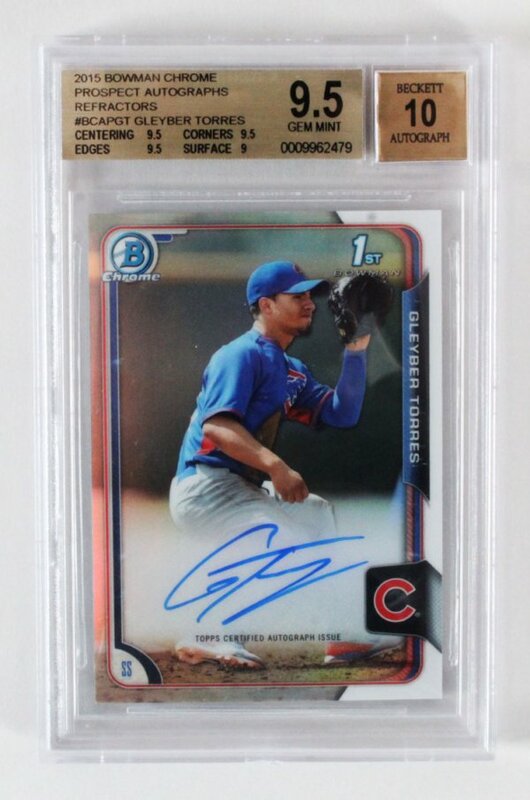 2015 Bowman Chrome Prospects Gleyber Torres Rookie Card. This is a Refractor numbered 318/499 autographed card #BCAPGT in the set. It is Beckett Graded BGS 9.5 GEM MINT with 10 Autograph. The subgrades: Centering 9.5; Edges 9.5; Corners 9.5 and Surface 9.